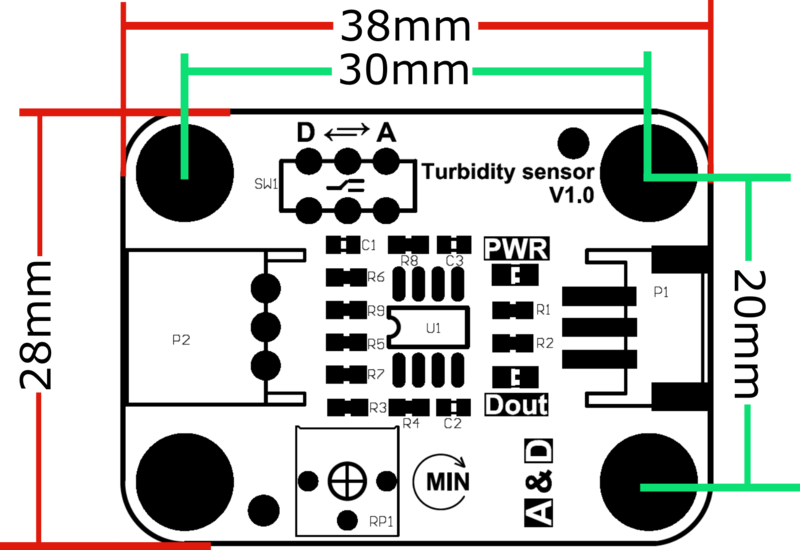 The gravity arduino turbidity sensor detects water quality by measuring the levels of turbidity. It uses light to detect suspended particles in water by measuring the light transmittance and scattering rate, which changes with the amount of total suspended solids (TSS) in water. 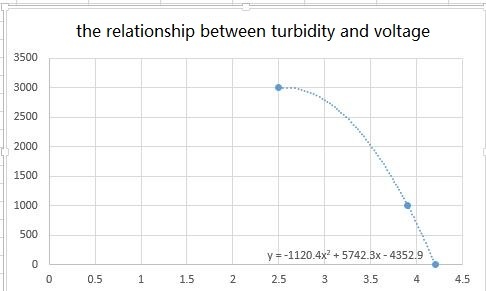 As the TTS increases, the liquid turbidity level increases. Turbidity sensors are used to measure water quality in rivers and streams, wastewater and effluent measurements, control instrumentation for settling ponds, sediment transport research and laboratory measurements. 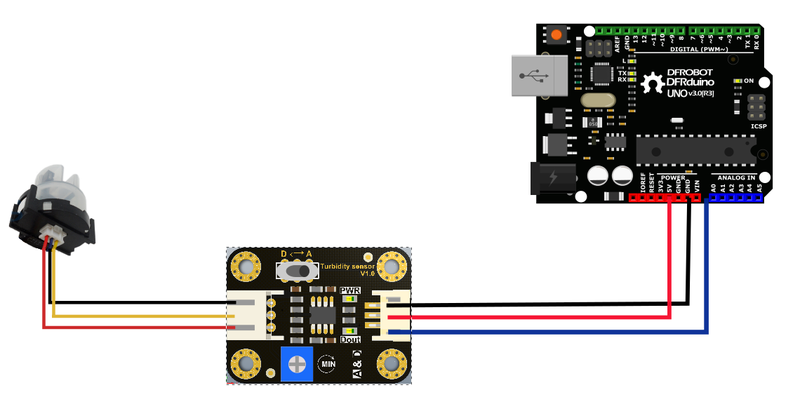 This liquid sensor provides analog and digital signal output modes. The threshold is adjustable when in digital signal mode. You can select the mode according to your MCU. 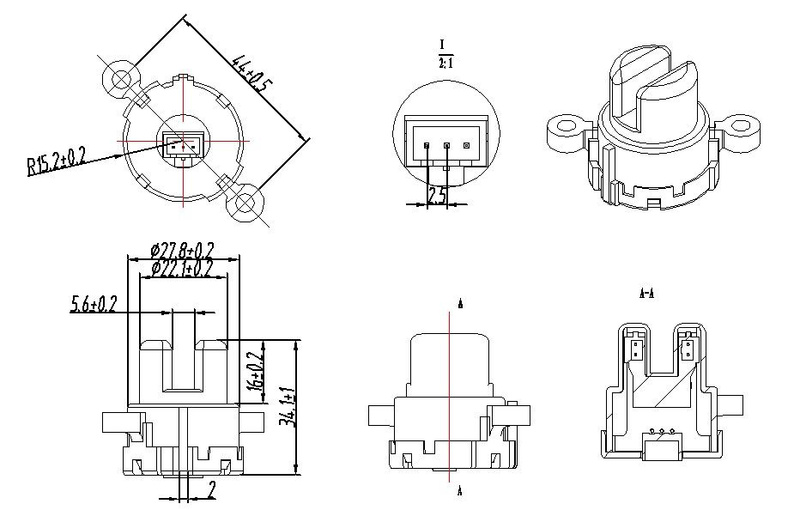 Threshold Potentiometer: you can change the trigger condition by adjusting the threshold potentiometer in digital signal mode. This is a reference chart for the mapping from the output voltage to the NTU according to different temperature. e.g. 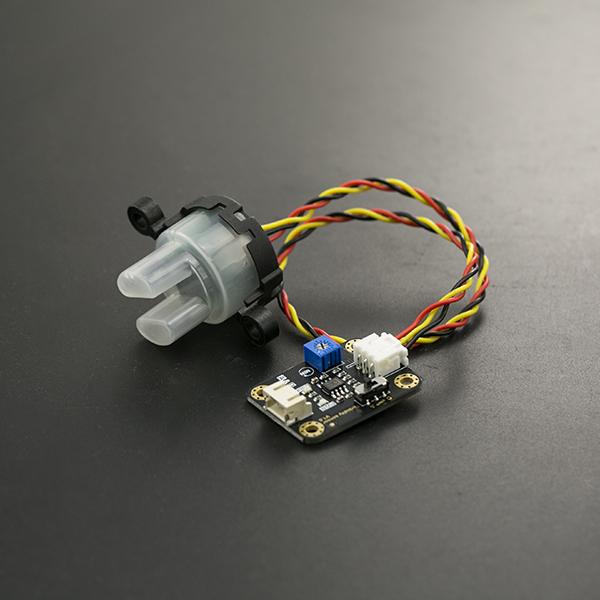 If you leave the sensor in the pure water, that is NTU < 0.5, it should output “4.1±0.3V” when temperature is 10~50℃. Q Hi, I always get 0.04 in the serial port, and there is no change, even I block the transmit tube. A HI, please check the probe connection cable, if you plug it with a wrong side, it won't work.